Grantwatch.com is the primary online grant resource center for grantseekers. 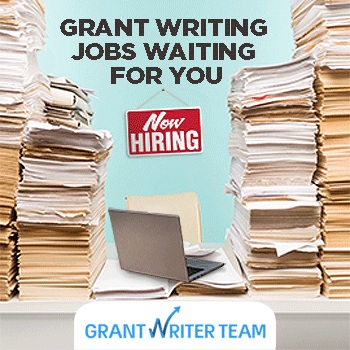 These Resources are sites with valuable relevant content for grant seekers and grant writers. GrantWatch.com posts federal, state, city, local and foundation grants on one website, categorized by type and updated daily. All our grants are current. Organizations can sign up for free to receive a weekly email of new grants posted. The Executive Service Corps Affiliate Network (ESCAN) is a nationwide network of nonprofit consulting organizations. The Society for Nonprofit Organizations provides nonprofit staff members, volunteers, and board members with affordable resources and information to work more effectively and efficiently towards accomplishing their mission. BoardSource is dedicated to advancing the public good by building exceptional nonprofit boards and inspiring board service. The National Center on Domestic and Sexual Violence (NCDSV) designs, provides, and customizes training and consultation, influences policy, promotes collaboration and enhances diversity with the goal of ending domestic and sexual violence. United Charitable Programs (UCP) is a 501(c)(3) nonprofit fiscal sponsor of charitable programs. These programs are located around the country, and actively raise tax-deductible donations from the public. UCP enables these programs to focus on their charitable mission by undertaking the administrative duties, grant management, and legal and corporate oversight. Fundraiser search engine, message boards, news, links, books, newsletter, and more. "Your Fundraising Resource!" The Alabama Association of Nonprofits (AAN) unites nonprofits and strengthens the sector and their members through nationally-recognized professional development, advocacy and public policy and association management services. AmeriCorps*VISTA helps communities implement grassroots solutions designed to alleviate poverty. The Foraker Group is dedicated to a healthy, sustainable nonprofit sector in Alaska. The Alliance of Arizona Nonprofits is a unifying association formed in 2004 to advance the common interests of more than 20,000 nonprofits in the Grand Canyon State. Foothill College offers educational excellence to diverse students seeking transfer, career preparation and enhancement, and basic skills mastery. Variety is dedicated to delivering life-enriching services and needed funds that build better futures for the children of Northern California. The monthly magazine of the League of California Cities. Colorado Nonprofit Association leads, serves and strengthens Colorado nonprofit organizations. DANA represents charitable nonprofits throughout the state of Delaware. FAVRM is a vital association that provides a network of support and professional development to volunteer management professionals throughout Florida and the Southeast. The Florida Association of Nonprofit Organizations (FANO) serves the capacity-building needs of the nonprofit community in Florida. The Annual Florida Nonprofit Conference and the Florida Certificate in Nonprofit Management are active programs that provide Nonprofit Leaders an opportunity to learn best practices, participate in cost-saving programs, developed financial and human resources, and networking with funders. The Nonprofit Center of Northeast Florida provides numerous services to local nonprofit organizations with the most visible and valuable benefits advocating on issues impacting the nonprofit sector; providing expert direction on a wide range of subjects in nonprofit management and development; sponsoring seminars, networking and peer learning opportunities; and commissioning research on issues affecting nonprofit. The Georgia Center for Nonprofits serves as a cornerstone of support for the Georgia nonprofit and philanthropic community by delivering a wide range of services and support. The Chamber provides programs, services and events that enhance the quality, general welfare and economic well-being of businesses owned by, associated with, serving or supporting persons with disabilities in Hawaii. The Idaho Nonprofit Center is a statewide nonprofit association dedicated to strengthening Idaho nonprofits through training, collaboration and a collective voice. The Indiana Nonprofit Resource Network strengthens nonprofits with capacity building opportunities to successfully carry out their missions. The Center on Philanthropy at Indiana University is a leading academic center dedicated to increasing the understanding of philanthropy and improving its practice through research, teaching, public service and public affairs. The Larned A. Waterman Iowa Nonprofit Resource Center is a University of Iowa interdisciplinary collaboration to make more accessible educational and service programs focused on strengthening the operational capacity of Iowa nonprofit organizations. Seeking funding for your business? Innovate Kansas has compiled a list of valuable resources to provide you with access to capital opportunities. KY Nonprofit Network is a statewide resource for nonprofit board members, staff and other leaders, an information center on effective nonprofit organizational practices, and an advocate for the nonprofit sector as a whole. LANO is a statewide member organization that advocates for the nonprofit community and strengthens the effectiveness of those committed to improving Louisiana. MANP is a membership organization offering professional skill development programs, affordable healthcare and benefits plans, discounts on related programs and services and advocacy resources, and is part of a national network of state associations. Here you will find information about the divisions within the Maryland State Department of Education. ESC is a 501(c)3 charitable nonprofit that provides management consulting and capacity building services exclusively to other nonprofits in Massachusetts and Rhode Island. The Massachusetts Council of Human Service Providers, Inc. is a statewide association of health and human service agencies. The Providers' Council is the state's largest human service trade association and is widely recognized as the official voice of the private provider industry. The Minnesota Council of Nonprofits is the largest state association of nonprofits in the U.S. With over 2,000 nonprofits from around the state as members. They provide resources, training, and information to help nonprofits do their jobs better. The Mississippi Center for Nonprofits is the state's only nonprofit resource center. The Center is the primary source of management training, technical information, advice, answers, coaching and connection to vital resources. The Montana Nonprofit Association (MNA) is a membership organization of charitable nonprofits that promotes a stronger nonprofit sector, a supportive public climate, and the ability of nonprofits to accomplish their missions. Montana Education Partnership works with schools, community organizations, businesses, and state agencies to increase service learning and place based learning opportunities for young people in order to improve their academic achievement and access to college. The Nonprofit Association of the Midlands assists nonprofit organizations as they build their individual capacity and collective influence. Nevada Arts Council works to enrich the cultural life of the state through leadership that preserves, supports, strengthens, and makes excellence in the arts accessible to all Nevadans. The NH Center for Nonprofits is a statewide association dedicated to providing programs and resources that support nonprofit organizational capacity building and to partnering with sector leaders, businesses, and the broader community to elevate the visibility and status of the nonprofit sector. The Orange Public School District in collaboration with all stakeholders is responsible for promoting the academic, social, emotional and personal success of all students. With a commitment to academic excellence, the district provides teachers, families, and administrators the tools needed for all students to reach their full potential. The Center for Nonprofit Excellence, a program of United Way of Central New Mexico, offers training and networking opportunities to build the capacity of nonprofits in central New Mexico [Bernalillo, Sandoval, Torrance and Valencia Counties]. NYCON is a statewide association of diverse charitable nonprofit organizations that works to build the capacity of nonprofits and communities to enhance the quality of life through responsive, cost-effective service. The Nonprofit Coordinating Committee of New York (NPCC) serves as an umbrella membership and service organization for more than 1,700 nonprofits in New York City, Long Island and Westchester, including social service, arts, religious and advocacy groups. Serving nonprofits in all 100 counties of North Carolina. Their mission is to enrich North Carolina's communities and economy through a strong nonprofit sector and nonprofit voice. NDANO supports and advances North Dakota nonprofits through advocacy and public policy, education and training, resources and research, cost-saving programs and networking. The Council for Older Adults of Delaware County, Ohio, offers in-home services for senior citizens and their caregivers. Our senior services include Meals On Wheels, care coordination provided by our team of licensed social workers, and referrals to licensed providers. COA is a local, nonprofit 501(c)3 corporation. The Nonprofit Association of Oregon, formerly known as TACS, is a statewide network of nonprofits, foundations, business partners, and individuals dedicated to supporting Oregon’s nonprofit sector. PANO is the statewide membership organization serving and advancing the charitable nonprofit sector through leadership, advocacy, education and other services in order to improve the overall quality of life in Pennsylvania. Drexel University Libraries is a learning enterprise. Libraries' staff advances the University’s academic mission through: • Serving as educators. Librarians coach students and other learners to become confident and expert in their information literacy skills and they build partnerships with faculty and other campus experts to support discipline-based teaching and learning. • Supporting education and research through services that provide convenient, reliable, efficient and cost effective access to information resources. • Collaborating with researchers on informatics and data curation issues. • Fostering intentional learning outside of the classroom, in both physical and virtual spaces. ESC provides management consulting and capacity building services exclusively to other nonprofits in Massachusetts and Rhode Island. SCANPO serves the thousands of South Carolinians dedicated to community service, leadership and caring through nonprofit and philanthropic organizations. The South Dakota Nonprofit Association (SDNA) provides nonprofit organizations with the tools they need to carry out their missions. TNPrevent is the primary source for prevention resources for prevention professionals, programs, providers, organizations, and opportunities in the State of Tennessee. TNPrevent offers a comprehensive prevention provider directory and resource search features to obtain the latest resource, data, events, trainings, and technical assistance information to support your prevention efforts. The Texas Association of Nonprofit Organizations (TANO) is the statewide membership association reflecting and promoting Texas’ growing nonprofit community in all its diversity. The Utah Nonprofits Association is the umbrella membership association of nonprofit organizations in Utah. The organization focuses on providing mutual support, management development through training opportunities and sector-wide advocacy. VANNO has assembled resources from around the state and across the country to assist you and your nonprofit organization. Arts & Cultural Movement dedicated to celebrate, promote & enhance the cultural heritage of the local community. Provides services and guidance to organizations to ensure that all young people have places to learn and grow when not in school. The Center for Nonprofit Advancement strengthens, promotes and represents its member nonprofit organizations throughout the Washington, D.C. metropolitan area. The West Virginia Community Development Hub seeks to engage and support communities and stakeholders in an intentional, aligned, and continuous system of community development as a catalyst, liaison, capacity builder, and resource intermediary. The Brown County Trust for Historic Preservation will provide leadership in the preservation of the built environment in the greater Brown County area through advocacy, education, and support. RSP promotes and facilitates the research, education, and outreach missions of the University of Wisconsin-Madison by supporting and administering extramurally sponsored programs. The WYCF is a non-governmental, publicly supported foundation, governed by a self-perpetuating board of citizens, making grants from individual funds contributed or bequeathed by individuals, families, corporations, nonprofit organizations and other sources. Canadian funding bodies require that the funds awarded be paid to a Canadian registered charity. In many cases, foreign charities do not have official Canadian registration that is recognized by Canada Revenue. The Ne'eman Foundation is a duly registered Canadian charity. They currently represent more than 30 charitable organizations in Israel, enabling their donors to receive receipts from a registered Canadian charity, as well as ensuring that the organizations receive their funds in a timely and responsible fashion. GrantWatch.com bears no responsibility for the accuracy, legality or content of the external site or for that of subsequent links. These links are being provided for informational purposes only; they do not constitute an endorsement by GrantWatch.com of any of the products, services or opinions of the corporation or organization or individual. Sign Up for Grant Writing Institute Mailing List!. I would like to receive information about Grant Writing Institute. I would like to receive Grant Information Emails.